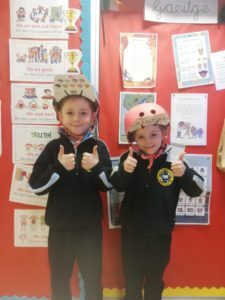 As part of the Irish Road Safety Week 2018, the Road Safety Team at South Dublin County Council invited pupils from junior infants to second class to design a helmet for their school, to be in with a chance of winning a helmet of their own! The children in CSCNS were delighted to participate, as road safety is something we discuss often in school, and value highly. The children did a superb job on their designs, and received a number of commendations. 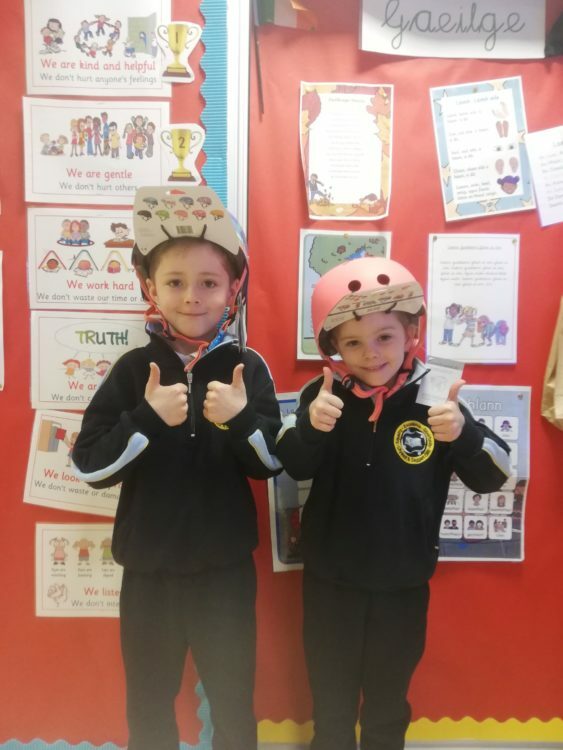 Congratulations to all of the RSA helmet winners: Tommy & Emily (R1), Alex James & Kayla (R2), Skye & Tadhg (R5), Maja & Kajetan (R3), Isabella & Kevin (R4), Wareesha & Evan (R6), Maylee & Dylan (R7), Nathan & Daniel (R10), Victoria & Darragh (R11). Many thanks to the RSA and SDCC for including us in this fantastic initiative promoting road safety. For more information about the project please see here.